The following post was originally published by the Sentry community at apache.org. We re-publish it here for your convenience. We are very excited to announce that Apache Sentry has graduated out of Incubator and is now an Apache Top-Level Project! Sentry, which provides centralized fine-grained access control on metadata and data stored in Apache Hadoop clusters, was introduced as an Apache Incubator project back in August 2013. In the past two and a half years, the development community grew significantly to a large number of contributors from various organizations. Upon graduation, there were more than 50 contributors, 31 of whom had become committers. 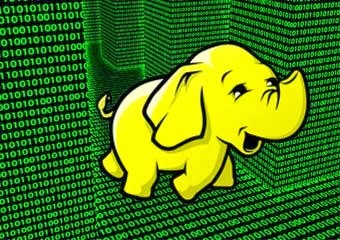 While Hadoop has strong security at the filesystem level, it lacked the granular support needed to adequately secure access to data by users and BI applications. This problem forces users to make a choice: either leave data unprotected or lock out users entirely. Most of the time, the preferred choice is the latter, severely inhibiting access to data in Hadoop. Sentry provides the ability to enforce role-based access control to data and/or privileges on data for authenticated users in a fine-grained manner. For example, Sentry’s SQL permissions allow access control at the server, database, table, view and even column scope at different privilege levels including select, insert, etc for Apache Hive and Apache Impala (incubating). With role-based authorization, precise levels of access could be granted to the right users and applications. Sentry allows for multiple permission models, and also enforces the same permission model across multiple compute frameworks and data access paths. The Sentry community now includes new core committers, an active developer mailing list where future releases and patches are discussed, and increasing interest in running additional frameworks on Sentry. We strongly encourage new people join Sentry and contribute through jumping on the discussions on the mailing list, filing bugs through Jira, reviewing other’s’ code or even providing new patches.